Upcoming Poster Presentation at the Pacific APA! 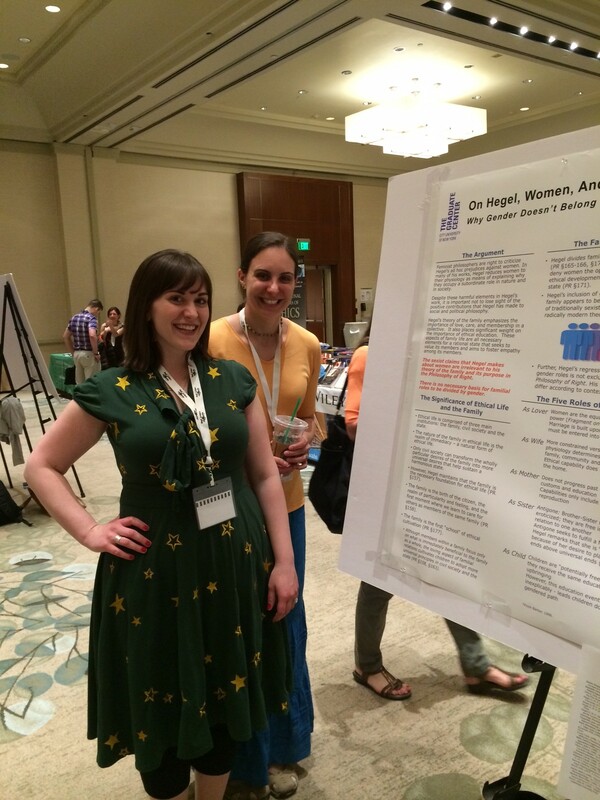 – Laura Wildemann Kane, Ph.D.
Home>Conferences>Upcoming Poster Presentation at the Pacific APA! I’m very, very excited to be presenting a poster of my latest research at the 2014 Pacific Division Meeting of the American Philosophical Association! I’m also thrilled that I’ll be joined by so many other CUNY presenters this year – we’re 6 of 14 presenters! Go CUNY! This presentation focuses on the research I’ve been doing for the past year and a half on Hegel and his account of women and family life. 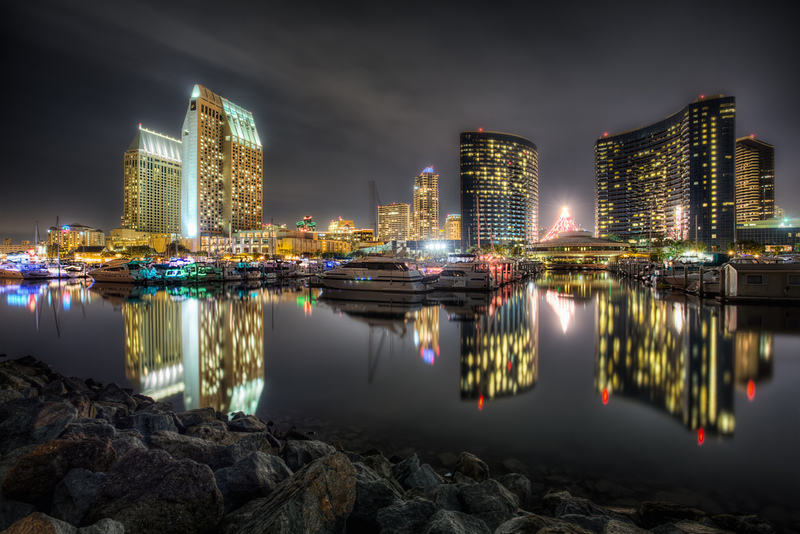 My poster “On Hegel, Women, and the Foundation of Ethical Life: Why Gender Doesn’t Belong in the Family.” will be presented on Friday, April 18th in sunny San Diego. UPDATE: Images from the Conference below. 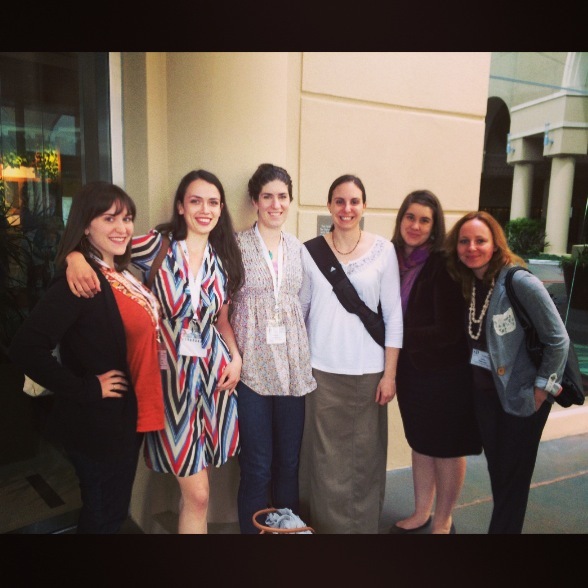 CUNY Ladies at the APA! 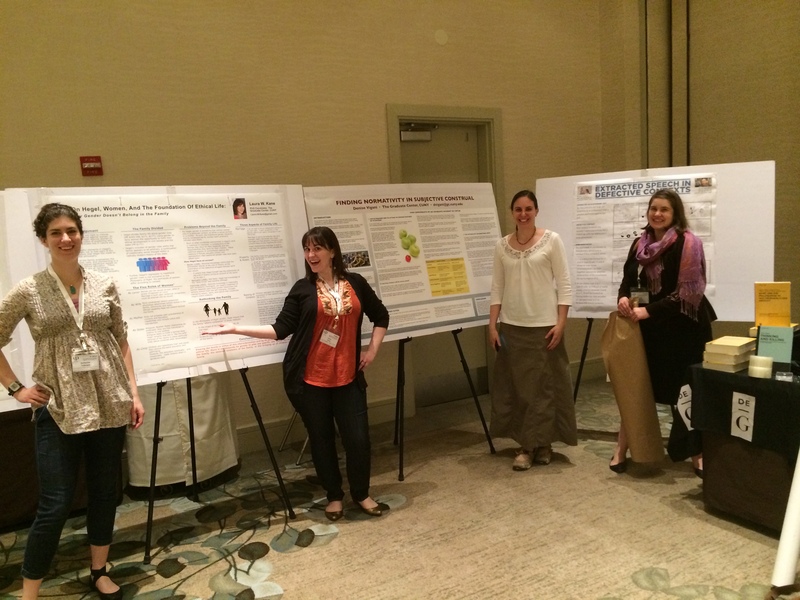 Previous PostPrev Article Spring Workshops!